Over the years, my friends and students have been encouraging me to pen down my study methods and knowledge. As a result, I started writing a blog on Study Guide in 2013. In addition, I have also started writing and revising/editing books that I strongly feel are helpful to students taking the national examinations, O Levels and A Levels. If you can't find any of the books below in major bookstores, feel free to contact me. I will be more than happy to help you get one. 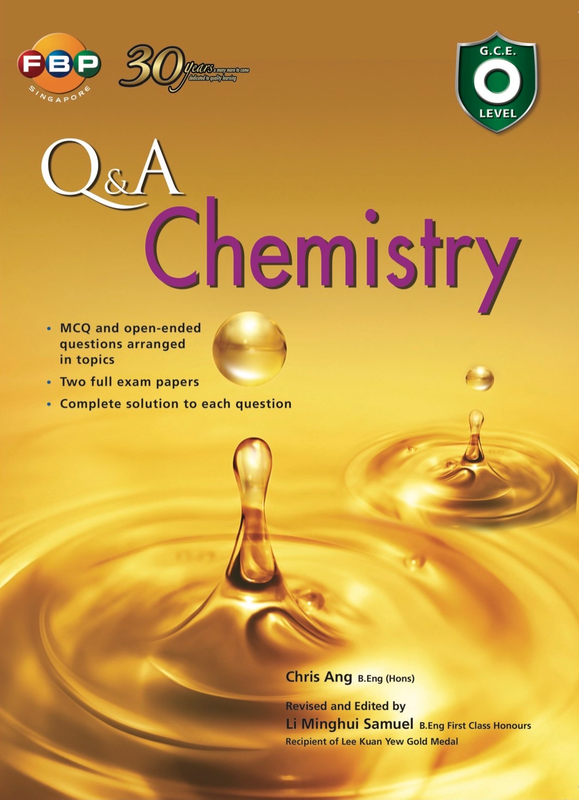 The ‘O’ Level Chemistry Comprehensive Guide is written with one main goal in mind, to provide students with handy revision notes, facilitating revision before the examination. 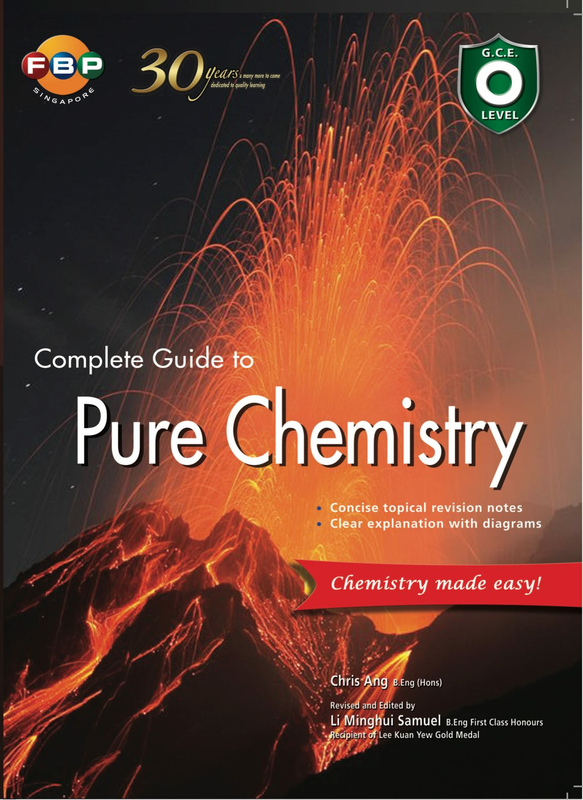 This book contains everything students need to know before taking the ‘O’ Level Chemistry Examination. It is written in point forms as much as possible to make revision painless. Useful examples are included for better understanding. Important diagrams and graphs are provided where necessary. 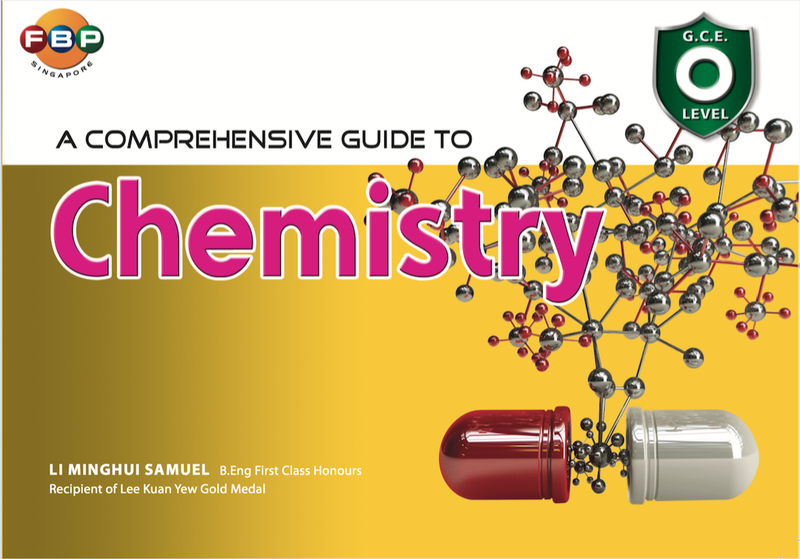 Understand the points, diagrams and graphs in this book and students will be well equipped to tackle the ‘O’ Level Chemistry Examination. The ‘O’ Level Physics Comprehensive Guide is written with one main goal in mind, to provide students with handy revision notes, facilitating revision before the examination. 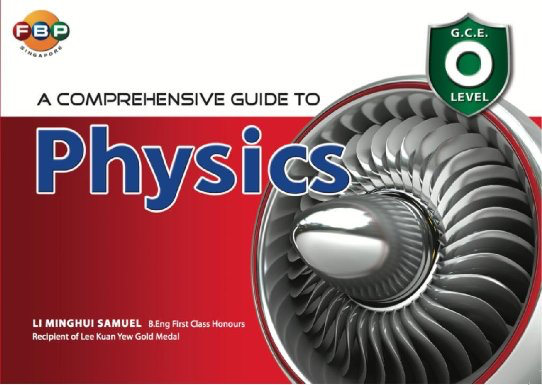 This book contains everything students need to know before taking the ‘O’ Level Physics Examination. It is written in point forms as much as possible to make revision painless. Equations are written in boxes for easy reference. Important diagrams and graphs are provided where necessary. 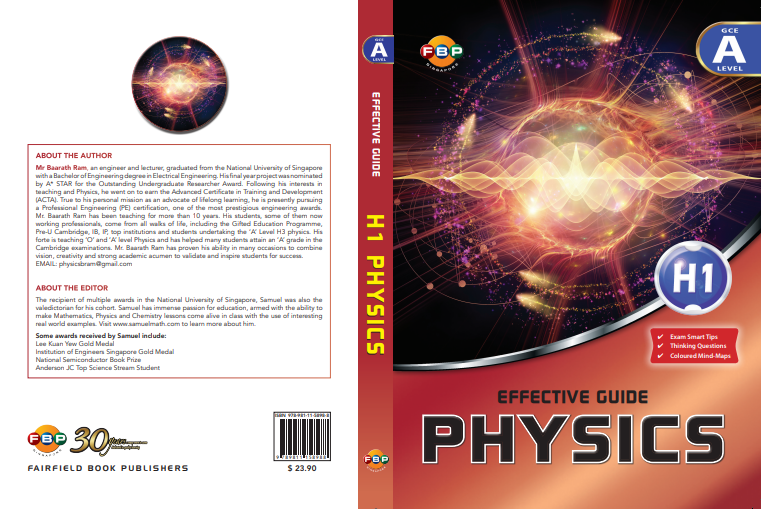 Understand the points, diagrams and graphs in this book and students will be well equipped to tackle the ‘O’ Level Physics Examination. 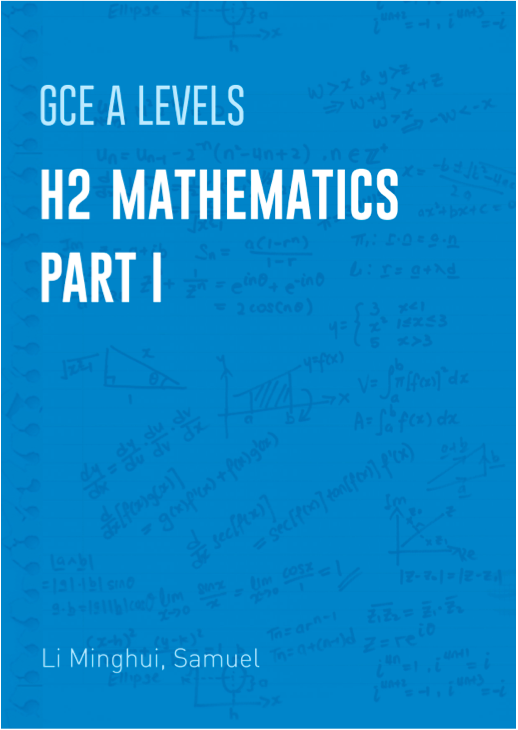 Self-published since March 2014, this book serves to equip students with the fundamental concepts needed to tackle the H2 Math Examination Pure Math Section. Mathematics is an art. To master it, we have to master the fundamentals and concepts. Hence, unlike other books, there are few, if any, examples in this book. I try as much as I can not to use examples to bring across a point as it would limit our vision as to how each concept can be used. This book is written for students taking the A Levels. I strongly believe that if you truly understand this book, you understand A Levels Mathematics and will definitely score well. This book contains comprehensive notes with diagrams from the various chapters. It is recommended that you read and understand the points written in the book. This book contains questions from the various chapters with full solutions. At the end of the book, there are two full examination papers for you to practise. It is highly recommended that you do them under time constraint, so as to better prepare yourself for the Examination. This book’s primary objective is to present a rational way of explaining physical observations and concepts. This is a study guide for students taking their ‘A’ Level examinations. Its impassioned approach in conveying concepts would inevitably stir and spark deep interests. This is a study guide for students taking their ‘A’ Level examinations for H1 Physics. Its impassioned approach in conveying concepts would inevitably stir and spark deep interests.